Equipment Depot is MCFA's largest U.S. dealer. TOKYO – Mitsubishi Logisnext Americas Inc. (MLNA), the holding company for Mitsubishi Caterpillar Forklift America Inc. (MCFA), is acquiring Pon Material Handling, NA, Inc. (PMH), the U.S. material handling equipment dealer that operates as Equipment Depot. MLNA’s acquisition of Equipment Depot will further complement MCFA’s existing dealer network by adding direct, full-service material handling operations across nine states. David Turner will continue as president and CEO of Equipment Depot. The Equipment Depot acquisition will help MLNA continue to evolve its products and services to meet changing industry demands. 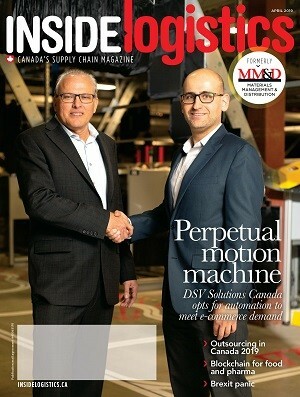 “Customers are increasingly seeking more comprehensive solutions to their material handling challenges,” said Ken Barina, MLNA president. Serving local communities since 1951, Equipment Depot has been one of the largest independent material handling and rental business in the U.S. It is also MCFA’s largest dealer. “Equipment Depot is proud to be part of the MLNA family, one of the largest material handling groups in North America,” said Turner. Mitsibishi manufactures and sells forklift equipment in North, Central and South America through its two subsidiaries under MLNA, including MCFA and UniCarriers Americas Corporation. The North American market is its most important and this deal will allow it to expand U.S. operations. Overall, MLNA says its acquisition of Equipment Depot will expand direct sales channels, enhance service offerings and ensure achievement of growth goals. The deal is expected to close at the end of July 1, 2019. MCFA is a manufacturer of high-quality forklifts and warehouse products in North, Central and South America and the Caribbean. Based in Houston, Texas, the company distributes three distinct brands – Mitsubishi forklift trucks, Cat lift trucks and Jungheinrich warehouse products.